A big thank you to the following terrific blogs for featuring my DIY Wooden Kids Kitchen this week. 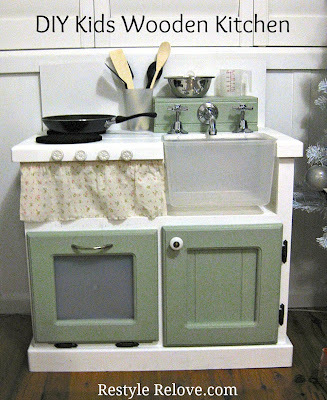 Love this little kitchen!! I am going to make one this spring. I have no little girl but will give it away or maybe even sell it.